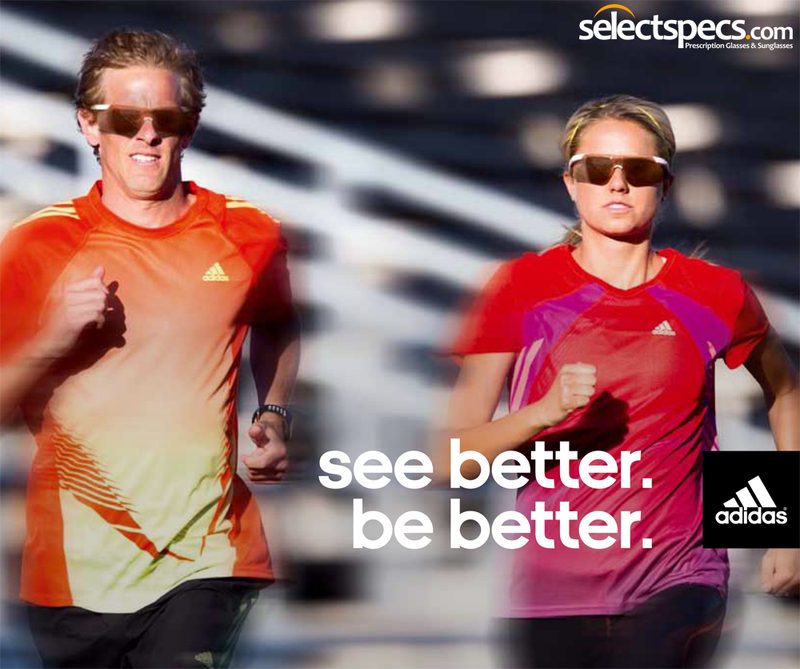 SelectSpecs.com are proud to announce that we are now an official retailer of Adidas Performance Eyewear. Adidas eyewear are sports glasses with highly functional frames and high quality filters. According to your needs and sport type the individual features are optimally combined. The perfect outdoor equipment for demanding customers. Eyes need the best protection. Frames, lenses and filters from adidas eyewear combine high end materials and high tech innovations into a functional unit. The perfect combination for perfect moments. Because every moment is valuable. Adidas is the brand of choice for many top athletes across the world and anyone who has seen any sport at any point in their lifetime should be familiar with the adidas brand which is seen in all forms of sport, from football, running, cycling, athletics and more. The adidas brand was most prominent during the London 2012 Olympic Games with all our top British Athletes kitted out with the Stella McCartney designed adidas Team GB kit, including Jessica Ennis, Andy Murray, Chris Hoy, Victoria Pendleton, Laura Trott, Louis Smith, Tom Daley, Phillips Idowu and David Beckham to name but a few. You can view our adidas eyewear collection here. Besides the impressive sports sunglasses collection from adidas, we are also offering the adidas originals sunglasses collection, ideal more a more casual and everyday use. Between the two sunglasses collections, there should be something for everyone with adidas.